This year, we’ve introduced our Intermediate Bushcraft Course. This course is designed to help you to improve your bushcraft knowledge and practical ability. 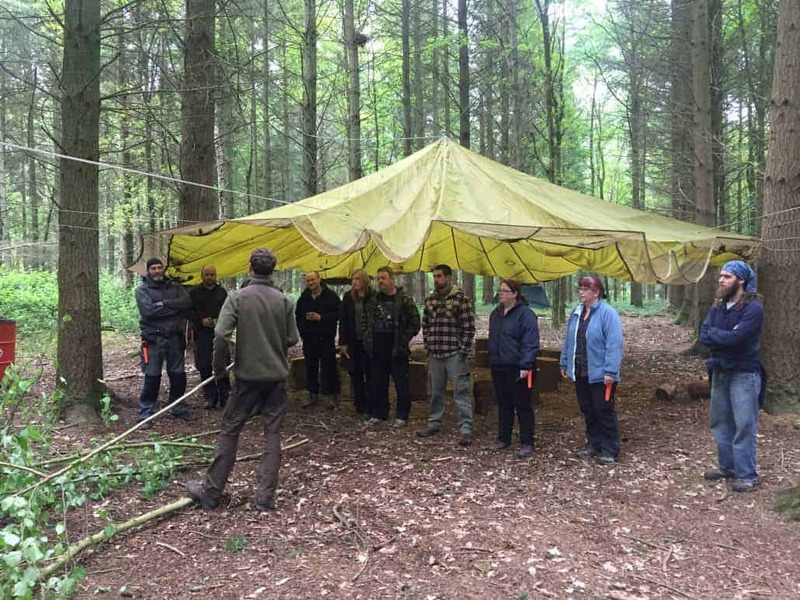 It is a great progression for all of those that have taken part in our accredited Foundation in Bushcraft and Wilderness Living Skills Level 2 Course. Our intermediate bushcraft course runs over five days and provides the foundation for intermediate to longer term living in the woods. 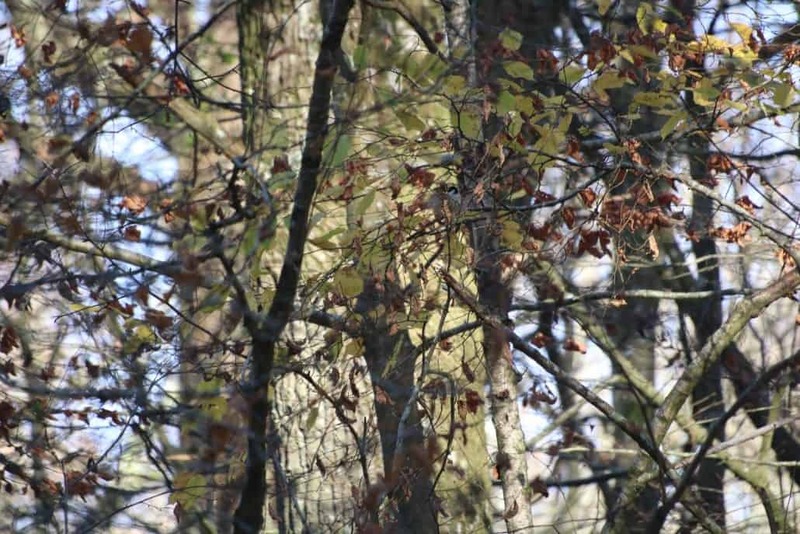 This blog looks at what you will learn on the course and how this provides you with knowledge for intermediate-term living in the woods. As always, feel free to read the whole blog or skip to the section that interests you the most. In short, too much to cover in just one blog! 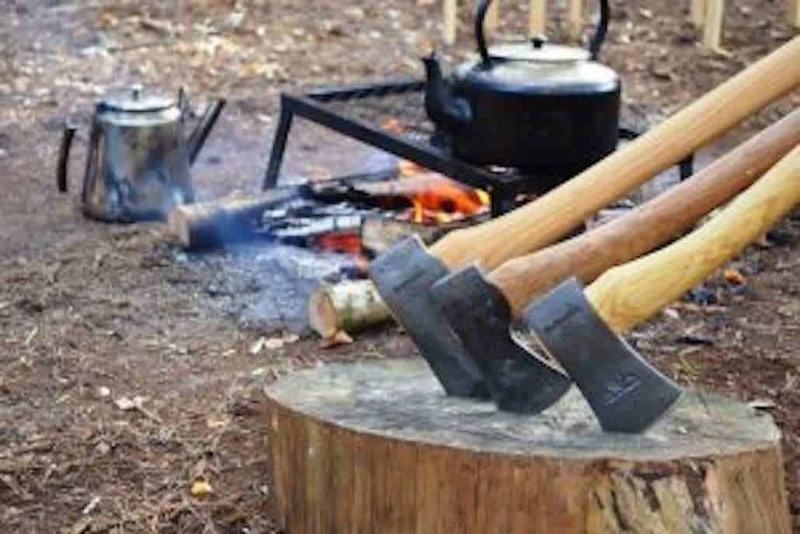 More broadly speaking though our intermediate bushcraft course will cover the following topics; skinning and butchery of large game, primitive food preservation techniques including smoking and curing, how to make glues, long-term shelter building, green woodworking, spoon carving, advanced fire lighting, traps and snares, foraging, basketry and much, much more. We can’t possibly cover all of these topics in this blog but we will touch on a few of them in the sections below. The best way to learn these skills though is to sign up for our Intermediate Bushcraft Course. 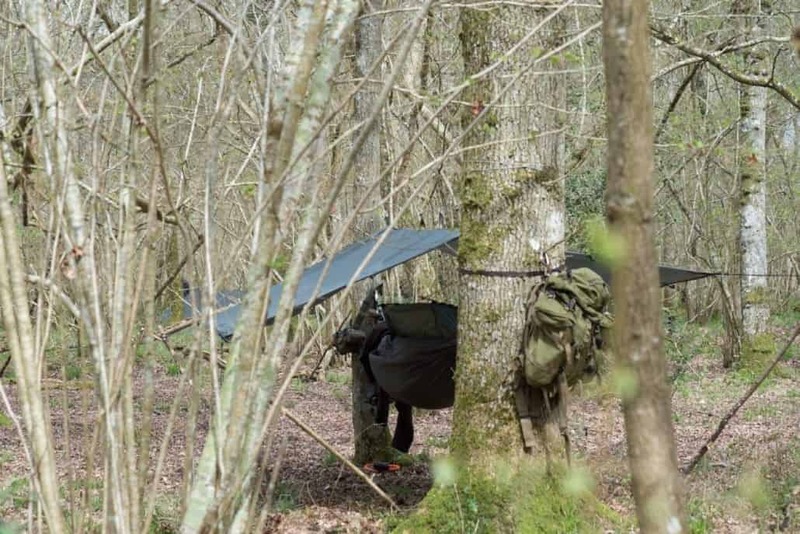 On our intermediate bushcraft course, you will be living in the woods for five days. This requires that you build a longer term shelter, we will also look at shelters for winter survival. 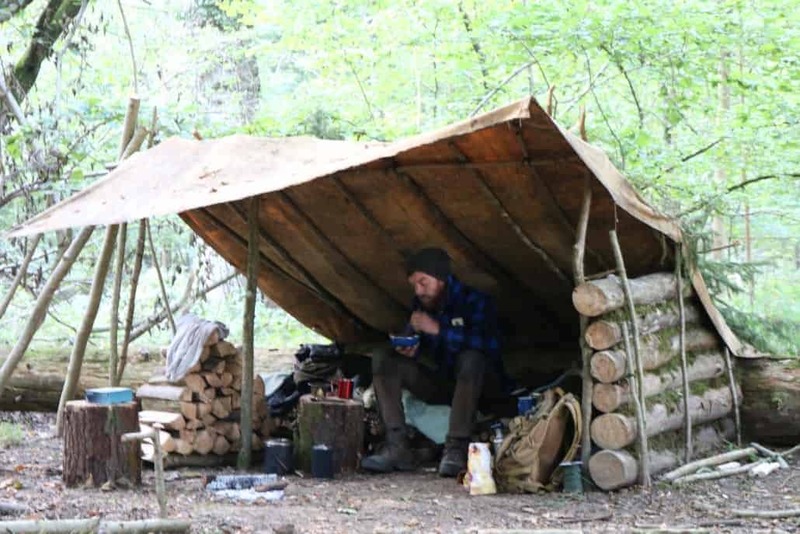 By the end of our course, you will have a shelter that is not only wind and waterproof but that is also equipped with a bed, a stool, and a table to work off. Remember, our intermediate bushcraft course is designed so that you can unlock your ability to thrive in the wilderness. It is not a survival course! Instructors from Wildway will be on hand to give you advice, assistance and more than a few cups of tea and coffee. 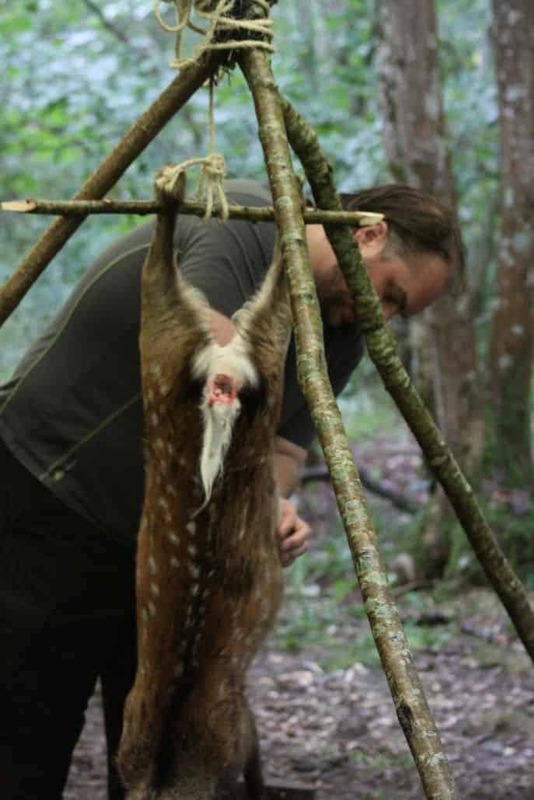 While our IOL accredited Weekend Bushcraft Course covers the butchery of small animals and birds, our intermediate bushcraft course covers, in more detail, the butchery of large game. In this case, it is likely to be a deer, one of the most commonly available large game animals in the UK. Our course is designed to provide a complete overview of woodland living, therefore the large game butchery lessons will also cover the skinning of large game and the preservation of food using primitive skills. Read on to find out more about primitive smoking techniques. 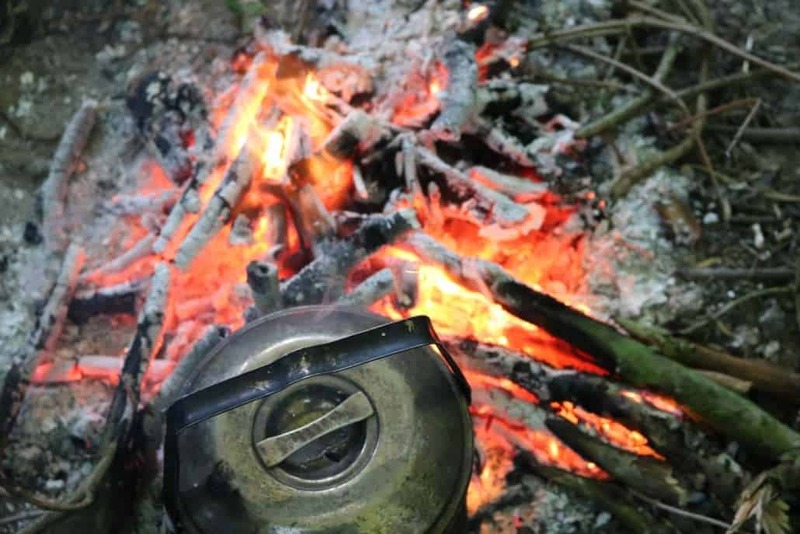 Primitive smoking and curing techniques are just one of the elements of wilderness living that you will learn on our intermediate bushcraft course. These are some of the oldest techniques for preserving meat and fish and help you to maximise your food supplies. Building on from the fire lighting techniques we demonstrate and teach on our weekend bushcraft course our intermediate bushcraft course covers more advanced techniques. This includes traditional fire lighting methods, including the bow drill, and teaches this technique from a complete basis – from wood selection to getting an ember. Our instructors work closely with you to help you get the most out of your time in the woods. Living in the woods on an intermediate to long-term basis means being able to find, catch and prepare your own food. We will cover trapping, snaring and foraging so that you are better equipped for living in the UK woods on a long-term basis. Our Intermediate Bushcraft Course runs from 24th to 28th of September. Places are £335 for the entire week. If you would like to discuss payment plans or the opportunity to put down a deposit and then pay the outstanding balance later, please contact John Boe on john@wildwaybushcraft.co.uk. Spring is in the air and nature is blooming. 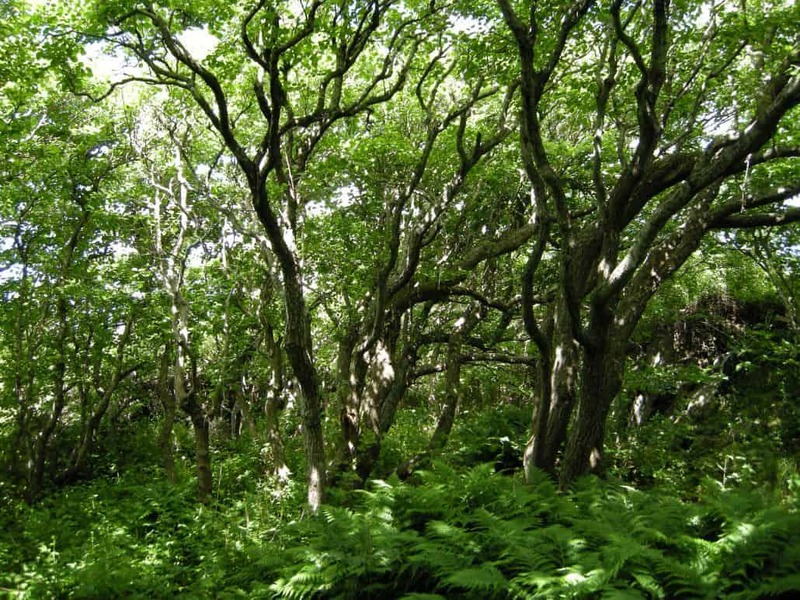 In this blog we’re going to take a look at five key trees for bushcraft in the UK. We’ll also cover some common bushcraft uses for these trees. As always, feel free to read the entire blog or skip to the section that interests you the most. Unlike what is shown on some popular TV shows, bushcraft is not about overcoming or conquering nature; it is about living in harmony with it. Key to living in harmony with nature is understanding it, particularly when it comes to the trees around you. 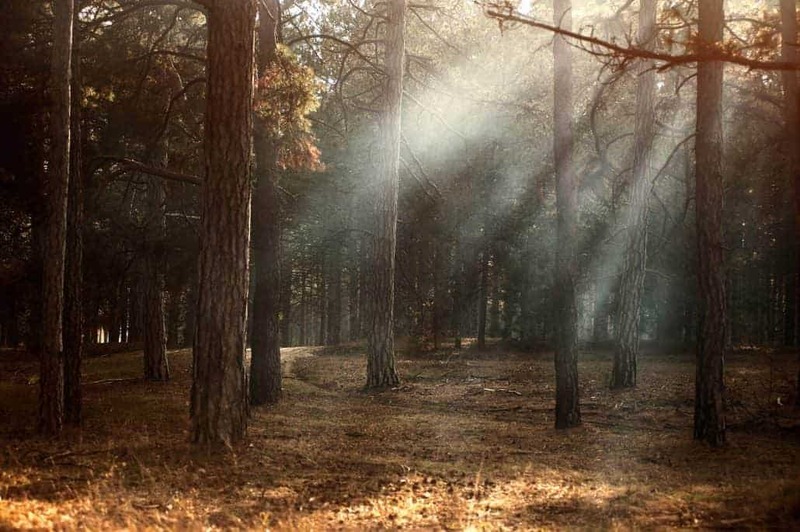 By knowing the names and uses for the trees which you come into contact with your time in the woods will be much more enjoyable and productive. 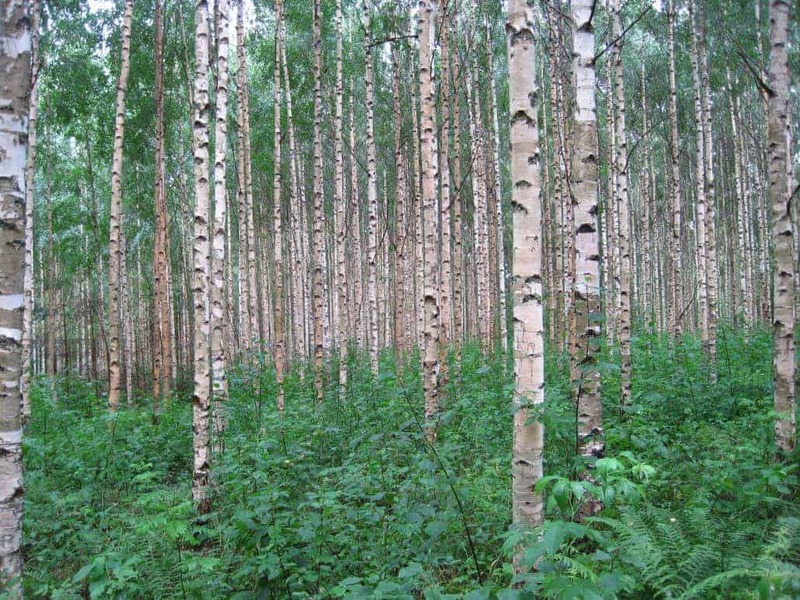 One of the most useful trees when it comes to bushcraft the Silver Birch is easily identified by its white bark. Silver Birch often hybridises with the downy birch, the latter of which is, in terms of the UK, most commonly found in Scotland. One of the most versatile trees in terms of bushcraft. The Silver Birch can be tapped for refreshment in early spring (for more information about tapping a silver birch read our blog here [link to: How to tap a Silver Birch]. The bark is also an excellent fire lighting resource, to learn more about using birch bark for fire lighting watch our video below. 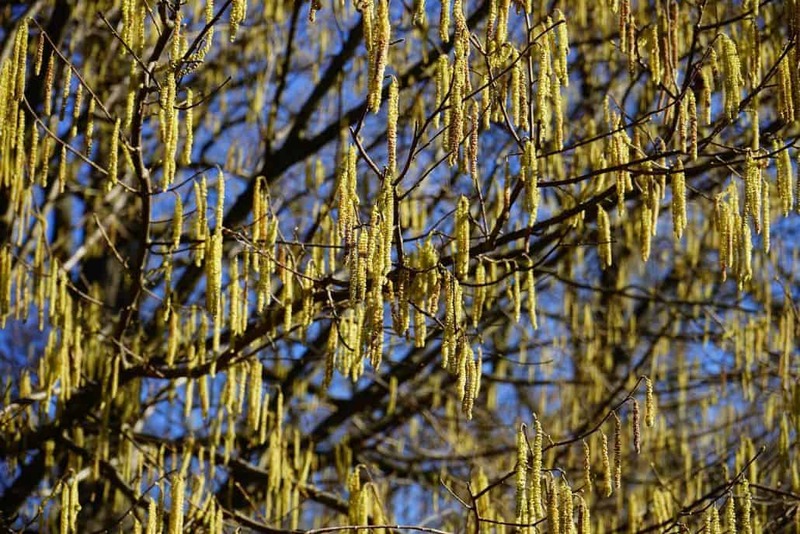 Hazel is native to the UK, when it is not coppiced (as they often are) hazel can reach heights of 12 metres. 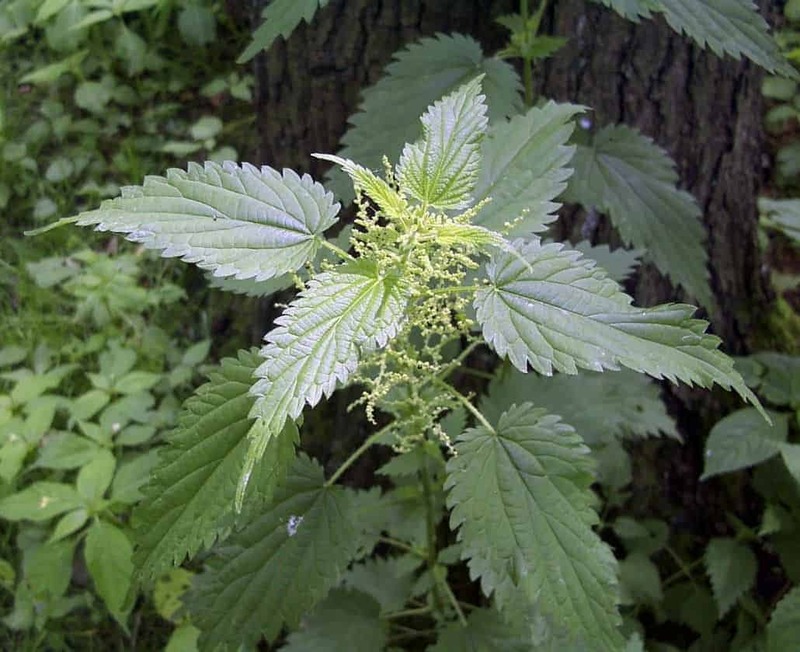 In ancient mythology, a rod of hazel was used to protect against and ward off evil spirits. Hazel is an incredibly springy wood and can easily be bent into a variety of shapes, which as we shall see, makes it excellent for bushcraft. Due to the flexible nature of Hazel, the wood is an excellent choice for shelter building. It is also a good choice for making a bow drill, for more information on making a bow drill see our blog Bow Drills: A Beginners Guide to Making and Using One in the UK . Hazel also of course produces Hazelnuts. These edible treats are most commonly harvested in late Autumn and are a good source of energy, with each 100 gram serving equating to around 2,630 kilojoules or 628 kcal. Alder is native to Britain although it is also found as far East as Siberia. Alder is known for its role in improving the fertility of the soil in which it grows. This is due to the bacterium found in the roots. This bacterium, Frankia Alni absorbs nitrogen from the air and makes it available to the tree. The tree then provides sugars to the bacterium which it produces through photosynthesis. Due to its tendency to grow in damp conditions, Alder trees are often a good indicator that there are water sources nearby. Alder is also a great wood with which to smoke fish due to the woods subtle smoke flavour and sweetness. 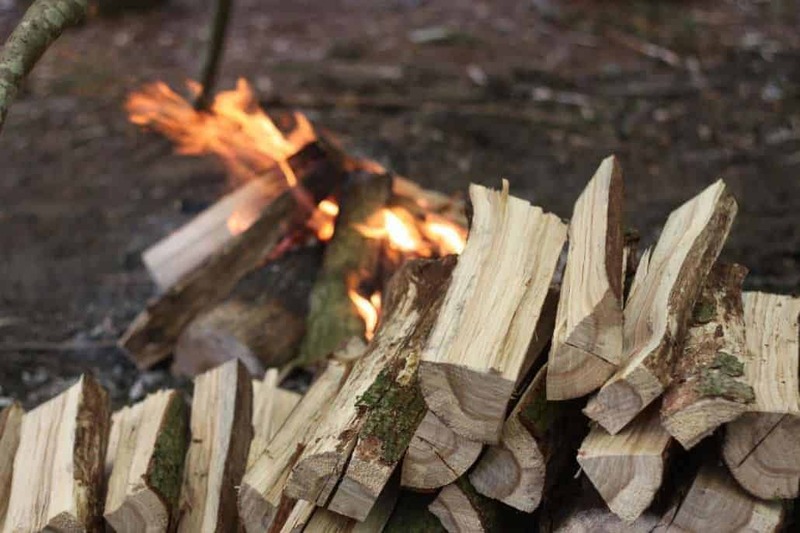 Like Hazel, Alder is also a great wood for friction fire lighting. The Common Ash, also known as the European Ash or simply the Ash is native throughout mainland Europe. When fully grown, Ash trees can grow to heights of 35 metres and live for around 400 years. 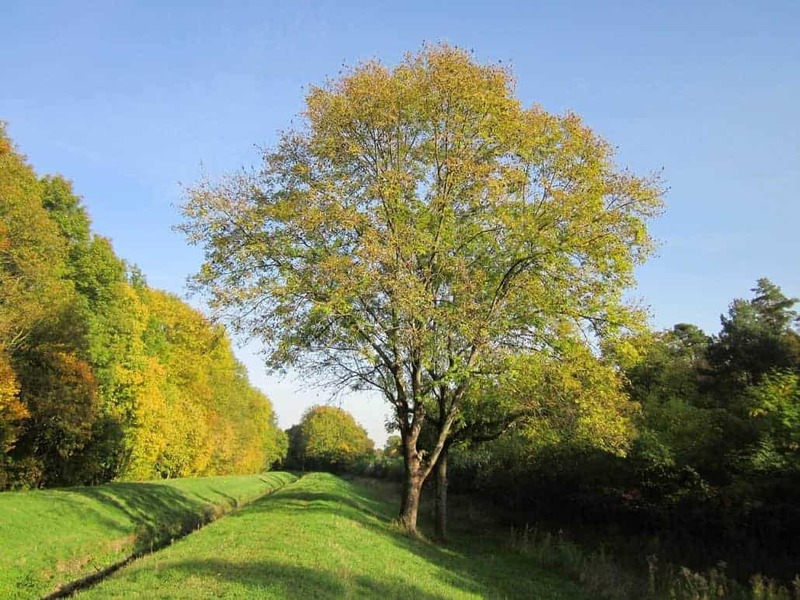 Ash trees provide homes and/or food for a variety of species such as bullfinches, owls, redstarts as well as a variety of caterpillars and moths. Ash trees are often good indicators of wild garlic, providing as they do an airy canopy which enables sunlight to reach the woodland floor. Ash trees make for great firewood and are also a favoured tree for making bows. Hawthorn is a native tree to the UK. The Hawthorn tree is also known as the May-tree, as it flowers in this month. For an interesting pub quiz fact, Hawthorn is the only tree in the UK to be named after the month in which in flowers. 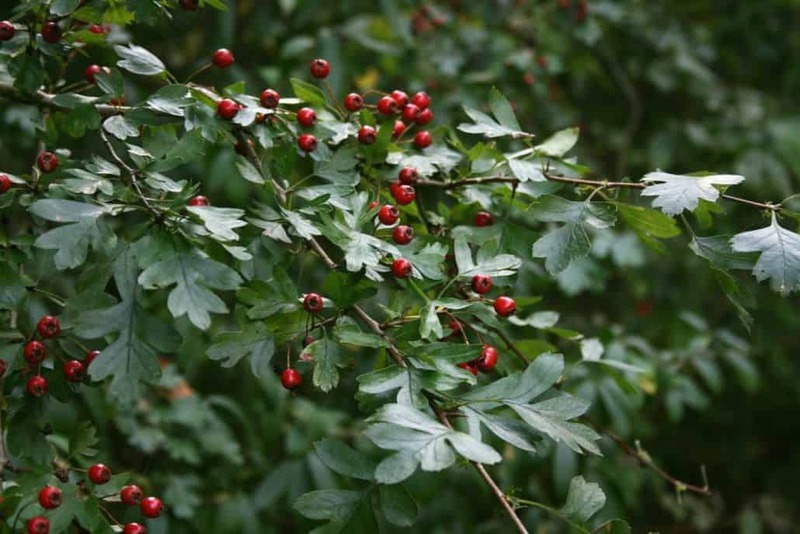 In late summer Hawthorn trees produce bright red berries, these berries are edible but are more typically used in conserves – care should be take when eating the berries if you have cardiac issues. The thorns of the Hawthorn tree make excellent fish hooks, while the tree itself makes for excellent firewood. 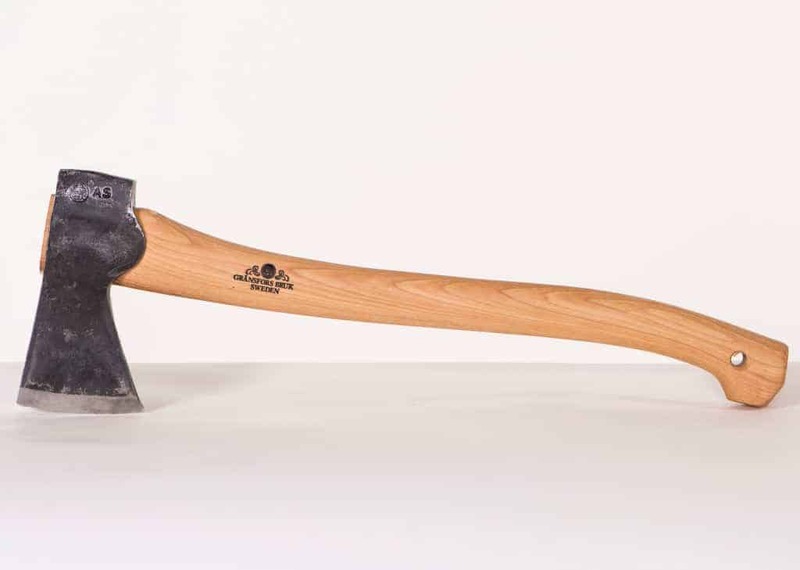 Here are some pieces of kit that you might find useful when out and about in the woods. 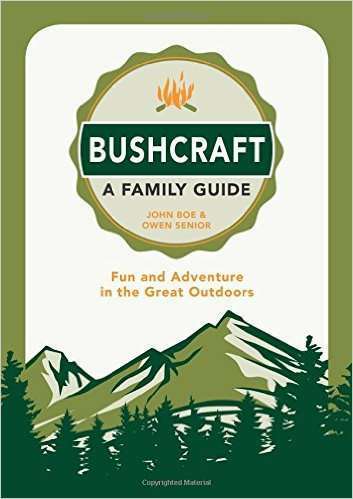 Please note that, with the exception of Bear Blades and Bushcraft – A Family Guide: Fun and Adventure in the Great Outdoors, Wildway Bushcraft is not associated with any of the products or manufacturers listed below; we don’t get anything from them if you choose to buy anything. 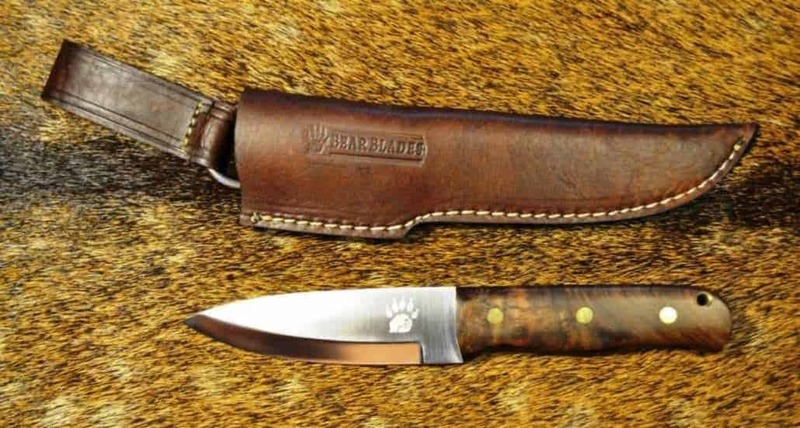 Wildway Bushcraft use Bear Blades. This diamond/ceramic whetstone is perfect for use in the field. This blog looks at trapping and snaring in the UK. However, before we get into it a word on the law and on ethics. Trapping and snaring of animals is illegal in the UK without landowners permission and with a legal type snare. Not only is it illegal but it is unnecessarily cruel. Bushcraft is not about harming nature, it is about being in harmony with nature. You should only ever attempt to trap or snare animals in a true survival situation. If you have any doubts about the legalities of what you’re doing then refer to the Wildlife and Countryside Act 1981, Animal Welfare Act 2006 and the Deer Act 1991. With that out of the way, let’s take a look at the theory behind trapping and snaring animals in the UK. Remember, you’re welcome to read the whole blog or skip to the section that interests you the most. There are a wide variety of traps that you could, in a true survival situation, make. However, you don’t need to set a trap to kill, you can practice setting the following traps and triggering them with a stick or other means. Be sure though to dismantle the trap that you have set afterward and never leave it unattended. Below is an overview of a small selection of bushcraft traps that you can make. Essentially though your type of trap will depend upon the materials that you have to hand, and the type of prey that you are hoping to catch. Deadfalls are traps which are designed to crush the prey. While they require very little cordage and can be used on barren grounds they need to be carefully constructed. If they are not carefully made then the traps will maim, not kill the animal that you are trying to catch. Typical deadfalls feature a heavy ‘deadweight’ and a trigger. The trigger should cause the deadweight to fall when dislodged. Snares have been used all over the world almost since the dawn of man. They work by tightening a noose around the neck or legs of the animal that you are trying to catch. The simplest snare is the running noose. The running noose is secured by a post which is set at the head height of the animal that you are trying to catch. The noose should be wide enough to let the head of the animal to pass through but not the shoulders. The noose is set on a slip knot so that when the head and neck of the animal passes through the snare tightens and chokes the poor animal. In our video below we demonstrate how to make a spring loaded snare that lets you capture the animal alive. Watch the video to learn more. Traps that spear or impale the animal that you are hoping to catch are needlessly cruel. Not only are they cruel but they may also ruin the meat of the animal that you are trying to catch or alert nearby scavengers to the dying or dead animal. For these reasons, these types of traps are not covered in this section. No matter how skilled you are at bushcraft and building traps you won’t catch anything unless you put your trap in the right place. The best place to set a trap is on what is known as a ‘run’. A run is a passage which is frequently used by animals, typically to get to a water or food source. In order to identify these runs look for flattened vegetation and animal tracks. If you would like to know more about tracking read our blog on animal tracking. 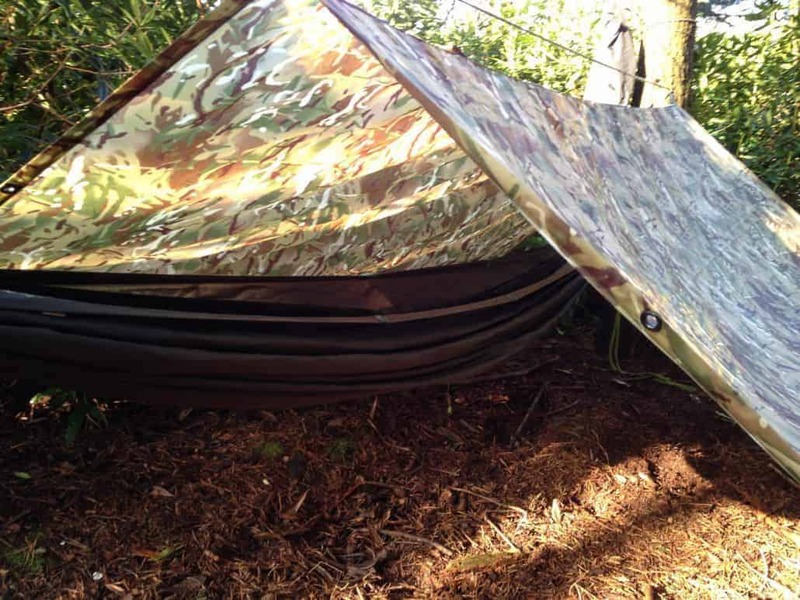 Your trap should not be obvious, it should be well camouflaged to fit in with the surrounding vegetation. Place your trap towards the end of the run or just after open ground where your prey will be more concerned about escaping possible predators. Cover the side of the trap with twigs and bits of the local vegetation to prevent the animal that you’re hoping trap from running around the outside of the trap. Take care not to trample down any surrounding vegetation which could alert your prey to a change in the landscape. Funnelling is the act of…funnelling your prey into a trap. When creating a funnel to guide your prey into a trap you need to be subtle about it. REMEMBER, TRAPPING AND SNARING IS ILLEGAL IN THE UK. ONLY EVER USE TRAPS/SNARE IN A TRUE SURVIVAL SITUATION. 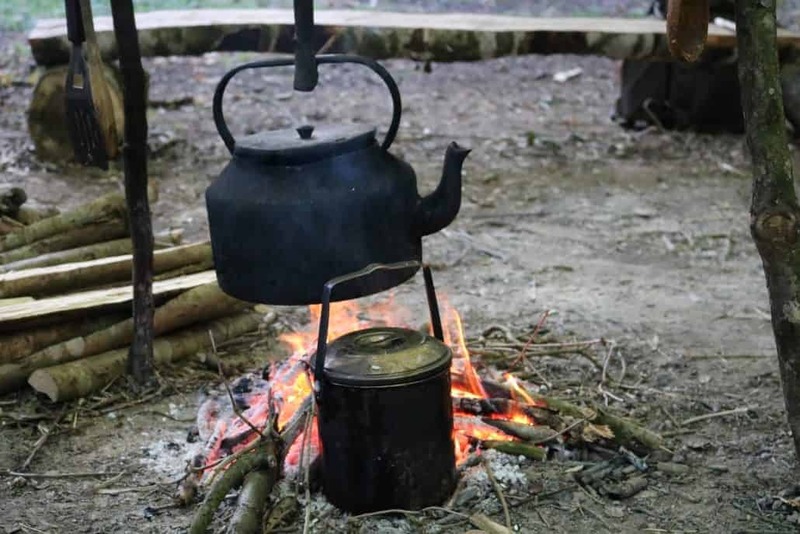 Our weekend bushcraft courses offer trapping and snare tuition as well as teaching how to light a fire, build a shelter, find water and other key bushcraft skills.